Mayor Rudy Giuliani brought down the house at the 2016 RNC on Monday night with his barn-burning speech endorsing Donald Trump for President. It’s time to make America safe again. It’s time to make America one again… I know we can change it, because I did it by changing New York City from the crime capital of America to the safest large city in the United States. What I did for New York, Donald Trump will do for America! This includes undoing one of the worst deals America ever made ― Obama’s Nuclear Agreement with Iran that will eventually let them become a nuclear power and put billions of dollars back into a country that the world’s biggest state sponsor of terrorism. Maybe Rudy Giuliani would have been the better choice to be Donald Trump’s running mate? If the two men could travel the country energizing Republican voters the way Giuliani did on Monday… it might make them very tough to beat. 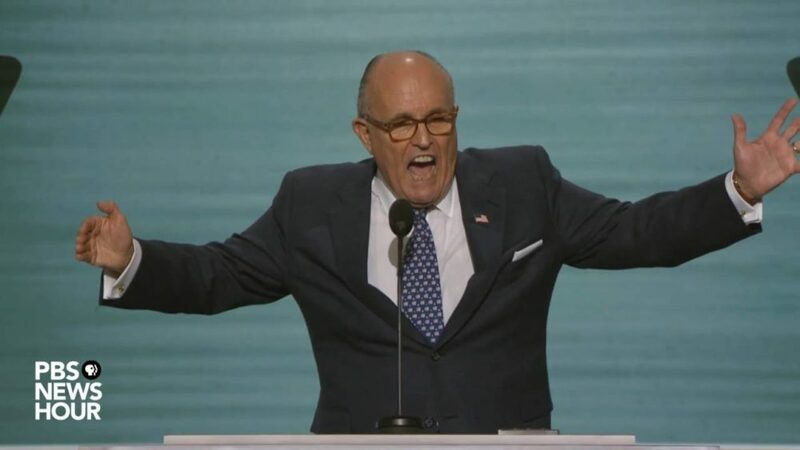 I think we’ll be seeing a lot more of Rudy Giuliani throughout the rest of the 2016 presidential campaign.